The current Royal Commission into Australian finance is uncovering headline-grabbing malpractices which have scandalised the community. These deficiencies will prove costly to the sector’s wealth and reputation. Because Australian finance largely avoided the dramas and tribulations experienced in America and Europe during the 2008 crisis, these weaknesses may come as a surprise. But they shouldn’t. Over the past decade, the financial sector overseas has accumulated somewhere between US$240 billion and $320 billion (yes, billion!) in fines for regulatory breaches. This huge sum is not retribution for causing the 2007–08 financial crisis: these are penalties for rigging markets, breaking sanctions, money laundering, mis-selling financial products, misreporting, misleading investors, trading scandals, and similar operational misconduct. 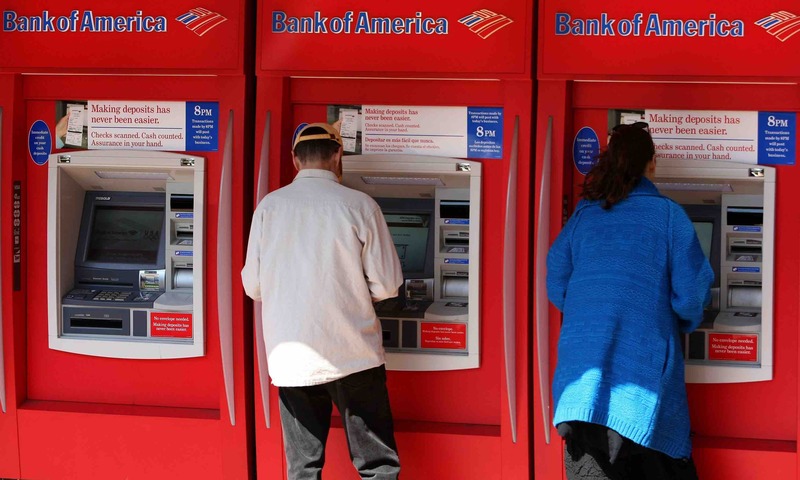 Bank of America heads the line-up, with $76 billion (representing more than half of its market capitalisation), followed by JPMorgan Chase with $44 billion (including fines originating in Bear Stearns, which JPMorgan took over during the crisis at the urging of the Federal Reserve). These penalties are not confined to US banks: Deutsche Bank paid $14 billion; Royal Bank of Scotland and Lloyds each paid around $25 billion; while Paribas and Credit Swiss each paid approximately $10 billion. The enormity and ubiquity of the fines suggest that the sector is prone to misbehaviour. Why is this so? Financial transactions are often complex, long-lasting, and surrounded by esoteric legal issues whose outcomes are delayed until sometime in the unforeseeable future. Financial markets are volatile, with asset prices and interest rates changing over the lifetime of a transaction. The consequences of mistakes or malfeasance can be life-changing for depositors, borrowers, and pensioners. Many customers deal in financial markets so rarely that they are not well-versed in the dangers or precedents. Some know this, while others count on governments to protect them when things don’t work out. Transactions often involve an agent or broker who purports to guide the uninitiated through the financial maze; but these agents have their own priorities which may not coincide with those of the customer. Competitive pressures are intense, encouraging administrative cutting of corners. Bonuses distort incentives and judgement. In response to these characteristics, the sector is heavily regulated. The more red tape, the greater the likelihood of transgressions. Banks must be prudentially regulated to avoid bank runs and to ensure that the payments system is not misused for illegal activity, such as money laundering. Beyond these systemic issues, consumer protection provides the rationale for another thick layer of rules. If everyone agreed on the appropriate degree of regulation, and this was incorporated in simple unambiguous rules, the challenge might be manageable. But there are inevitably conflicts of interest, misinterpretations, and arguments about bureaucratic compliance costs. The rule book contains ambiguities, leaving regulators unsure of how to react to apparent infringements. The public, on the other hand, expects to be protected from the rapacious aspects of finance. When things turn out badly they look for someone else to blame. Big fines have not done much to impose personal responsibility and accountability on individuals in top management and boards: instead, shareholders bear the cost. Bonuses have been paid and golden parachutes have protected departing management. Hardly anyone went to jail this time (in contrast to the aftermath of the 1980s US savings and loan crisis). When things go wrong, there is the usual sorrowful public contrition, acceptance of responsibility (whatever that means), undertakings to reform, and unanimous affirmation that trust is at the heart of an effective financial system. What more should be done? It would be unrealistic to assume that, with these fines, incompetence and bad behaviour have been eradicated and that gimlet-eyed management will hereafter prevent repetition. Rather, the lesson might be that this sort of behaviour is endemic in the financial system as currently structured. Disaggregating and simplifying the structure of the sector would help, with a move back to a Glass-Steagall world where banks do simple deposit-taking and lending, and are managed by conservative (even boringly dull) bankers. Expecting the public at large to make good decisions about their long-term pension portfolios is unrealistic, and professional advice has too often shown itself to be self-interested. A publicly provided alternative along the lines of Australia’s Future Fund or Singapore’s centralised pension funds would provide a default option appropriate for most pension savers. All the cutting-edge, exciting, and innovative activities would be separated in “buyer-beware” entities, quarantined from bank balance sheets. Market-making, investment banking, derivatives, commodity trading, high-frequency trading, risk management, and financial-product development would all take place in these overtly risky institutions, with the Masters of the Universe largely trading with each other. The casino-like aspects should be handled by those who understand that finance is a big gamble in which you may lose your shirt. This would make the financial sector much smaller than it is at present, and the smart talent which is currently employed there might go elsewhere, doing something useful for society. All this seems a long way from the Australian Royal Commission, which will likely leave the financial sector embarrassed and chastened, and a few institutions punished. While memories are fresh, management is likely to be more careful with compliance. But the structure seems unlikely to change.